Practicing with the verb BE. 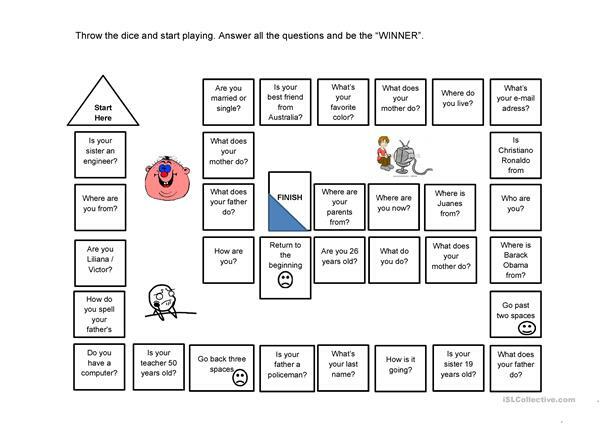 A useful board game where students have to answer the different yes/ no questions and wh-questions. 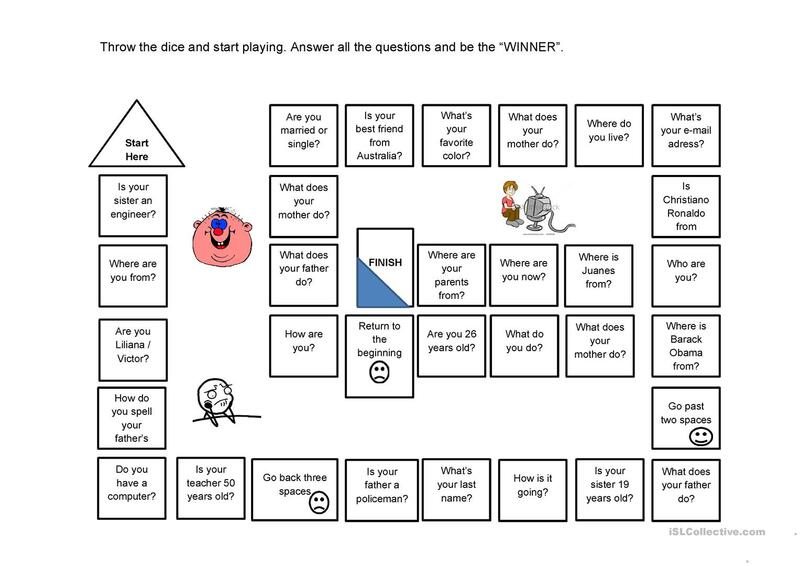 The above downloadable printable is recommended for adults at Beginner (pre-A1) level. It is a useful material for teaching BE (auxiliary verb) in English, and was designed for strengthening your learners' Speaking skills.